The economic consequence of the UK Brexit decision for Northern Ireland is difficult to anticipate. Whether the business community should prepare for a complete break from the single market and customs union or whether there will be an agreement to retain some of the trading advantages but not in a comprehensive package, is still to be negotiated. The best hope is that a working arrangement, short of being a full member of the single market, will be found. The official agencies in Northern Ireland, government departments and representative business organisations, face an uncomfortable agenda. In the still unfinished Brexit deal, there is a compelling case to monitor closely the emerging conclusions although the negotiations have not been very transparent. For a better Northern Ireland understanding there are two perspectives that merit closer scrutiny. First, in the complex range of UK and Irish (or EU 27) questions, the policy and actions of the Irish Government are critically relevant. The Irish Government and Irish businesses have good reasons to be concerned that a British decision to leave the EU is, proportionately, more significant for Ireland than any other country and could seriously affect UK-Ireland trade in some key sectors. The Irish have good reason to try to help create a soft Brexit. Second, Northern Ireland must take a close interest and learn from the policies and actions of the Scottish Government. The Scots have been keeping close to the Brexit negotiations, both in London and Brussels. As part of a wider debate initiated by the Scottish Government, it has published a 353-page Sustainable Growth Commission report on how to improve the performance of the Scottish economy. 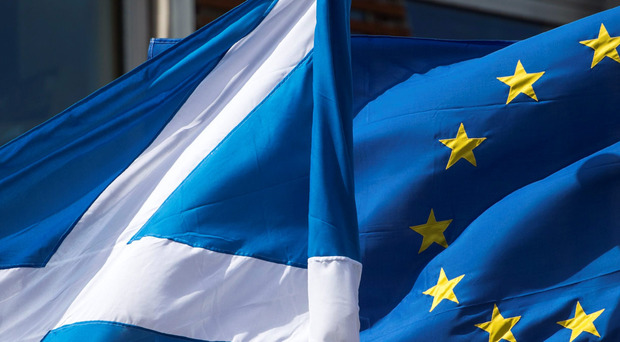 The commission report has two overlapping themes: one to make recommendations for an independent Scotland which restarts the public debate on seeking an independent Scotland, the second on building a stronger Scottish economy. For a non-Scot there is an academic unanswered question. Is the debate about how to develop a more prosperous Scotland, a necessary consequence following a commitment to seeking independence because an independent Scotland would be disadvantaged, or is it based on expectations that an independent Scotland could perform more strongly because it was independent? The Scottish Growth Commission report outlines 50 policy options. Some of the policy options link to an agreement on independence. That includes eventually breaking from sterling and setting a new framework for public sector finances. However, most of the policy options relate to responsibilities which are devolved to Scotland or might be devolved. The commission emphasises a number of policy options that resonate with the possible priorities of a NI Executive, including an overarching (Scottish) economic strategy, cross-party collaboration on policy-making, identifying strategic priority sectors and boosting productivity and export growth. Critically, the commission says that securing frictionless borders in the UK and EU should be a top strategic priority. Two specific ideas catch the eye. Scotland would wish to attract more talented migrant workers to Scotland, possibly with tax concessions in the early period after their arrival. This would further develop the adjustment of income tax rates that has already been devolved and used in Scotland. In a linked proposal, Scotland would consider the adoption of the Danish flexicurity model to the labour market. The second is the commitment to improving fiscal rectitude. Scottish public sector borrowing, deficit reduction and a review of inherited UK spending programmes all point to a major effort to refocus and consolidate how public sector funds are allocated. The Scottish Government is preparing for structural changes in the scale and use of public sector funds. Budgeting for devolution is becoming a major task. The Irish Government is preparing for damage limitation in key trading sectors. If there was a local Executive here, should parallel NI actions should be anticipated?